Last week, our San Francisco pipeline accident law firm updated readers on safety concerns stemming from the 2010 San Bruno pipeline explosion. We wanted to follow-up and update our readers on developments being reported in this week’s San Francisco Chronicle. On September 9, 2010, a pipeline explosion occurred near Skyline Boulevard and San Bruno Avenue in San Bruno’s Crestmoor neighborhood. The explosion and resulting fire left eight people dead, completely destroying thirty-eight homes and damages many more properties. Pacific Gas and Electric (“PG&E”), the company responsible for operating the pipeline, dismissed allegations that the pipeline was being operated at an elevated, dangerous, and illegal level of pressure. The current Chronicle investigation revealed that at least three segments in the San Bruno natural gas pipeline were being operated at an illegally high pressure level. Federal law gives companies the option to maintain records that justify higher pressure levels but the law requires that companies that do not possess specific information must operate on the assumption that the pipelines are the lowest grade and limit pressure accordingly. PG&E failed to provide the needed information and exceeded the allowable pressure limit on the San Bruno pipeline and thirty other lines in California. Reports suggest that the pipeline pressure may have been twenty percent about the legal limit. Several expert consultants have concluded that the disaster might have been averted had PG&E maintained the legally required pressure level. These details are emerging as the California Public Utilities Commission is reviewing PG&E’s practices. 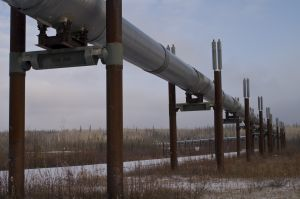 The company is currently involved in hearings before an administrative law judge to determine what percentage of the costs involved in fixing pipeline issues can be passed on to natural gas customers. In conversations with state regulators earlier this year, PG&E placed the blame for pressure problems on a failure of senior-level accountability. We trust that companies, particularly those involved with potentially dangerous substances, will operate in a safe manner. Too many companies risk public safety, often for an improvement in their bottom-line. The public should demand that safety be a foremost concern. We should hold companies and executives accountable when they fail to operate within the bounds of the law and with disregard for the public good. The Brod Law Firm is proud to represent the public interest, including serving as a law firm for explosions in San Francisco and the surrounding areas. We represent victims of Northern California mass disasters. These California mass disaster lawsuits serve multiple goals. Unlike a criminal case, a civil lawsuit can provide compensation to victims to help them with the mountain of medical bills and property damage expenses in the wake of an accident. Furthermore, a civil lawsuit sends an important message to companies that the failure to prioritize safety will not be tolerated. If you have been harmed by a company’s negligence, please contact our office for a free consultation. We will work with you and with other victims to obtain both compensation and justice.